Trump’s handling of the time he burned the Israeli spy described as the single “most valuable source” against ISIS plots could not be worse. As an aside, the CIA knew something like this was going to happen. And genuinely, nobody brought up the spy at all. Trump was just wandering around the room (really, he was just ambling around looking at nothing) and then blurted it out “just so you understand,” as he said to the media. And watch this clip for the moment around 40 seconds in. It looks like Israeli prime minister Benjamin Netanyahu wants to strangle the guy. 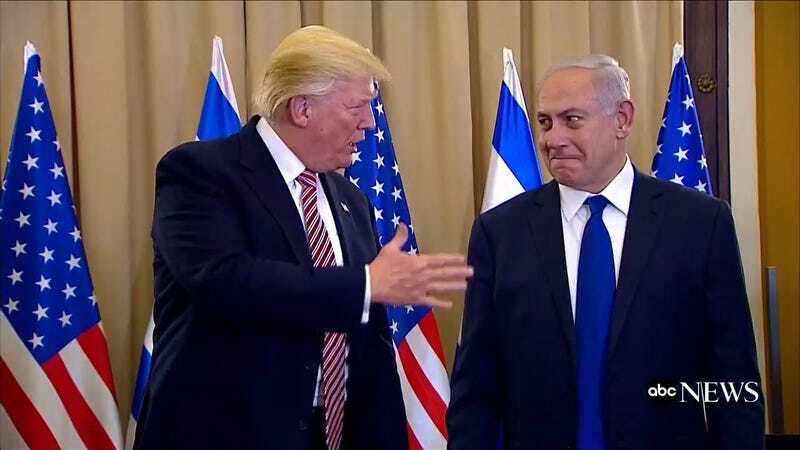 At that very moment, Netanyahu, a man who served in the Israeli special forces, is using every fiber of his being not to choke out the President of the United States of America. It is quite a moment.